I have just finished a new Squidoo Page titled – iCarly Dolls, Toys and More and I am still taken back by HUGE amount of merchandise available surrounding this TV show on Nickelodeon. Now my kids are big fans of the show and so am I – yes I must admit that I really laugh every time I watch it. Kids just love the shows cast Miranda Cosgrove (iCarly), Jennette McCurdy (Sam), Nathan Kress (Freddy) and Jerry Trainor (Spencer) – they are what makes the show so great – oh and of course some very good writers. I was inspired to make this page when I saw the new iCarly Fashion Switch Dolls and it snowballed from there. If you are or have an iCarly Fan living in your home – you do not want to miss this. I think I have covered what I think are the HOTTEST sellers. I cannot believe it has been a while since I last Blogged on here. Well I will tell you about some new pages I created to help you with your Halloween Party Planning. To start I made a great blog post all about Personalized Halloween Party Invitations including one of my favorites that gets put inside a cardboard coffin box. So when it comes to getting out your Halloween Party Invites you will find some really great ideas and some that are very creative as well. Next I wrote a Squidoo Lens all about Halloween Pinatas and there you will find every pinata available for this fun holiday. When writing this I was absolutely amazed at how many choices there are available. My personal favorite Halloween Pinata would have to be the Ghost – it is just adorable as it looks like it is flying. To go along with that I did a Squidoo Lens on the Best Halloween Party Games available. A Halloween Party would not be complete without some fun spooky games for the kids ya know. I have also included one of my favorite games which is the Touch and Feel Boxes with Step by Step Instructions and ideas for some gross things the kids can touch. You will also find many party games you may never even knew existed – I sure did not before writing this so it is a great resource. Do you think I would forget scary Halloween Decorations? No way – I love decorating for Halloween and some of my favorites are Halloween Window Decorations. On this Squidoo lens you will find some of the scariest and cool decorations for your windows. Everything from Bloody Window Clings to Clings for your car Windows. You will see a great variety of decorations there that may just keep your neighbors from wanting to peak in your windows again. 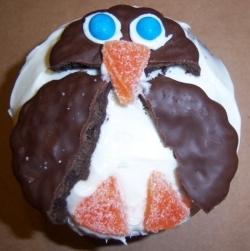 Then I moved to Hubpages and created a Hub on Halloween Cupcakes. On my Hubpage you will find lots of great ideas to make your Halloween Cupcakes looking sweet and spooky. You can also watch a video showing you how easy it is to make Ghost Cupcakes. I have added lots of photos of some fun creations like Spider Cupcakes, Monster Cupcakes, Eyeball Cupcakes, Bat Cupcakes, Witch Cupcakes, Mummy Cupcakes and more. Oh and one of the newest – How about Brain Cupcakes – ewww – Just the way you want them – so come check it out. So that is what I have been up to for Halloween Party Ideas so far – when I write more I will add them on here. Halloween is so much fun and so are all the parties that go along with it!!! I just took a stroll down memory lane writing a Squidoo Lens on my Vintage Fisher Price Farm I had while growing up. It was another RocketMom Assignment where we had to write about a favorite Childhood Toy. I am still in shock that my favorite toy is now a vintage toy and I am feeling very old now. That is me in the photo with my farm from 1973. I still have the Fisher Price Farm, not my original from the photo, but one I had bought at a local thrift store many years ago. I wanted my kids to have one while they grew up. Some say they do not make them like they use to and I really think that is so true. Even though my kids also had the Fisher Price Animal Sounds Farm they still played with this one as well. It brings back so many memories for me and I really loved playing with this farm. I know many collect them and some of the pieces are getting hard to find. My current farm from the thrift store is missing the Silo – I am thinking about buying one to complete it and have it for my kids to pass down to their kids one day. On my page that I wrote I have some great photos, all the pieces you can purchase and even an inside tour of the Fisher Price Barn. If you played with one of these or are collecting them you must stop by and take a stroll down memory lane with me. Come on…………. So come take a look – Here. I just finished updating my Squidoo baby Pages on some of the Best Baby Toys and Gifts and just in time for the 2009 Christmas Holiday Shopping. So whether you are shopping for your own baby or someone elses I have some great finds for you – so let me share. Zoobie Pets – This is one of my favorites and wish these were around when my kids were younger. They are a Plush Animal, A Pillow and a Blanket all in one. They come in a large variety of choices and even sizes. The quality is amazing and I think this is such a great gift idea if you have a baby shower or birthday party to go to. They have also won many awards and have been featured on quite a few TV shows as well. These are even a great blanket for the kids to carry along for nap time at preschool and great for car rides. So stop by check them out and add them to your shopping list. The Fresh Food Baby Feeder – Again another great gift idea for a baby shower or to give a new mom. This was something I discovered when my kids were young and I swear by it. If you are a mom – this is a MUST have when it comes to feeding your child safely. The mesh bag on the feeder allows you to stick any food inside you want your baby to have and the mesh bag allows the food to come out in tiny pieces so that your baby will not choke. So visit my page and see all the great ideas showing the many uses, recipes and tips for using these. I am telling you this is one of the best inventions when it comes to feeding your baby. Bathtub Toys – This is one of my favorite pages I have done. I love Bathtub toys and fun in the tub. Now do not forget the Rubber Ducky Too!!! You will find lots of great toys the kids can play within the bathtub from Playsets, Bath Books, Boats, Rubber Duckies, Bath Toy Organizers, Musical Bath Toys and more… I think a lot of parents do not think about buying bathtub toys for gifts and the kids really love them. So think outside the box when shopping this holiday. You can never have enough toys to play with in the bathtub. These also make great baby shower gifts as well. Potty Training Help – Yes I made a page on Potty Training, but not only it it full of time and humor – you will find some of the coolest things that will help you out. Believe it or not you can make Potty Training fun and you will find that out – I feature some great ways to decorate your toilet, printable potty charts, Fun potty chairs for kids, tinkle targets and a lot more. So if you are getting ready to potty train your child, know someone who is or pulling your hair out trying – stop by and maybe I can help. Winnie the Pooh Toys and Gifts – I think every baby have something with Winnie the Pooh – you just cannot avoid it. If you are a Winnie the Pooh lover and love all his friends than you will like my Winnie the Pooh page full of fun gifts and toys. In addition to Pooh you will find all your other favorites like Rabbit, Owl, Christopher Robin, Piglet, Eeyore, Tigger, Kanga & Roo and more. So add some Pooh to your shopping list. Baby Shower Games – And lastly I would like to share my page on some of the Best Baby Shower Games. If you are lucky enough to be involved in the planning and are reading this you will be so happy. I have gathered some of the coolest games available and put them all in one spot. If you are not the planner, but know someone who is – then pass it along to them. Is the Webkinz hype dying? There was a time when everyone had to have a Webkinz from Ganz – well all the kids at least. I am wondering if the hype is now starting to fade away. I just updated one of my many Squidoo pages about all the New and Upcoming Webkinz and as I was doing that I wondered. Even though Ganz is still releasing new Webkinz Plush and other products its seems to me that things have slowed down in sales. Two years ago these virtual pets were one of the hottest toys on the market and I know first and being my daughter was all about them. 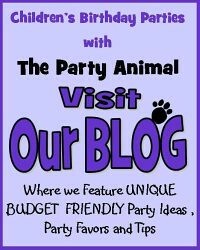 Even my party business took off with my Webkinz Birthday Party Theme I created called the Webfriendz Party Package. The party package is still available, but sales for that have slowed as well. I have seen a jump in sales for my Webkinz Party Favors – KrispyKinz which are the Chocolate Covered Rice Krispy Treats that resemble Webkinz Animals, but my thoughts are Webkinz may soon fade out. There have been many attempts on other products from Ganz like the Webkinz Trading Cards, Webkinz Figurines, Webkinz Mouse Pads, Webkinz School Supplies, Webkinz Carriers and Purses, Webkinz Christmas Ornaments, Webkinz Beauty Line, Kinz Clothing, Webkinz Charms, Outfits for the Webkinz and more. I think all of those have also faded out now and never really took off in my opinion. I think the kids just wanted the plush that they could play with online. It has been awhile since I have looked at all the new Webkinz and some of the new ones are very adorable, but somewhere along the line I got lost in the over production of merchandise that came out all at once. I have a feeling as a parent I am not the only one. I think it became very hard for the kids to keep up on them all and most seemed to lose interest. Maybe I am wrong, but I have seen it up close with my own child and those around me. I will be curious though to see how they fare through the 2009 Holiday Season and if they will stay a Hot item or slowly fade into our memories. I guess every good thing must come to an end at some point. I just also wonder what the next big toy craze will be and what my kids will be begging for next. I will keep all my Squidoo Webkinz Pages fresh as possible – I am working on cleaning them up now. Just to note: My daughter still plays with her Webkinz, but the plush and rarely goes online to play the games. A complete switch from what it was in the beginning- go figure. Maybe I am completely wrong, but it just had me thinking – so I thought I would blog.